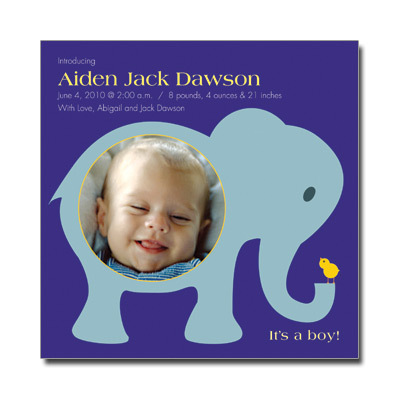 This colorful birth announcement features a place for a photo of your little one, framed by a cute blue elephant and bright yellow chick. Personalize the design with a short message in yellow and white against a background of royal blue. Card measures 5.875 in. square and requires additional postage when mailing.